Zillow This light-filled home in Seattle is adorned with leaded-glass windows, boxed beams and a built-in dining room buffet. Craftsman homes, an early 20th-century architectural style, feature high-quality craftsmanship not always found in new constructions. "It's elegant artistically: classic materials, bay windows, the low-hanging eaves," said host Nate Berkus this week on NBC reality show American Dream Builders. "There is nothing more iconic American than that." During this week's episode, the designers renovated two Craftsmans in Glendora, CA. Team Red received $5,000 extra to put toward their renovations, while Team Blue got two extra carpenters to bring their designs to life. Making critical upgrades led to a 35 and 37-percent increase in the Zestimate® home values for each property. While the Zestimate is not a substitute for an appraisal, it is a great starting point for determining the value you can add by updating an older home for a contemporary lifestyle. 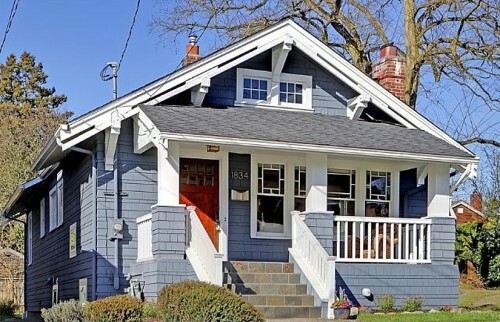 Craving an updated Craftsman of your own? 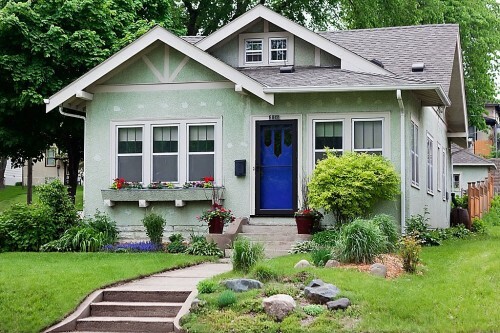 Here's a look at some Craftsmans for sale across the U.S. Click on the links below to see each home's Zestimate, square footage, interior photos and more. 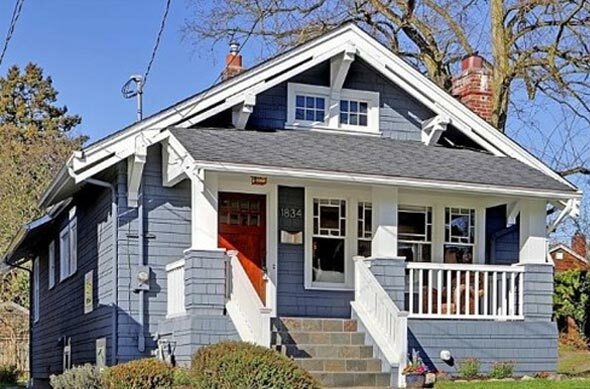 This charming, Craftsman bungalow has beautiful woodwork including dining room build-ins, hardwood floors and oak molding. Several updates have been made to the home since its 1922 construction: new windows in 2009, a new roof in 2004 and a boiler in 2003. The home sits on a 4,356-square-foot corner lot with southern exposure and lovely perennial gardens. 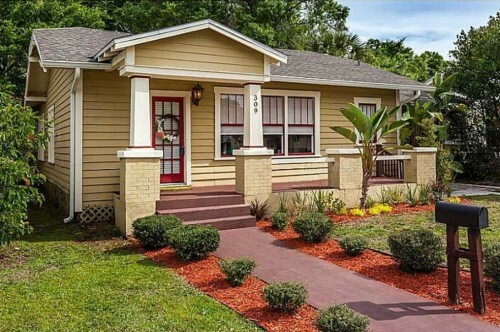 From tapered, square columns to a front porch and exposed roof rafters - this Tampa, FL home has several classic Craftsman features. Inside, the look and feel continues with built-in living room shelving, an ornamental fireplace and antique white kitchen cabinets. 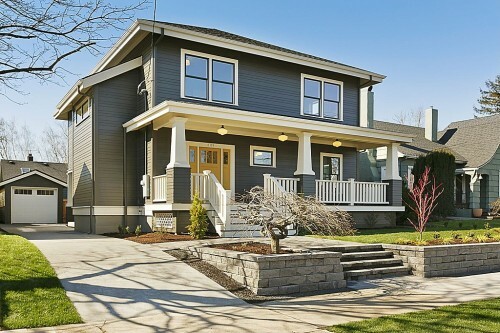 A quintessential Seattle Craftsman, this light-filled home is adorned with leaded-glass windows, boxed beams and a built-in dining room buffet. French doors allow the indoor entertaining space to flow seamlessly outdoors onto a new covered deck. 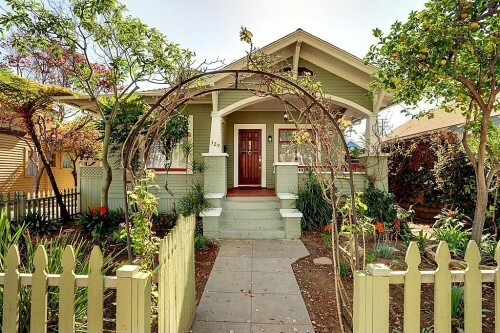 Located in the heart of Santa Barbara, this 1920-built Craftsman features an inviting front yard and porch. The 1,054-square-foot interior has 2 bedrooms and 1.5 baths. The kitchen has been remodeled with stainless steel appliances and cherry cabinets. This Portland home was redesigned to have an open floor plan while preserving its 1920s Craftsman roots. The 4-bedroom residence features several architectural details including a breakfast nook in the kitchen and a floating fireplace wall separating the dining and living rooms.